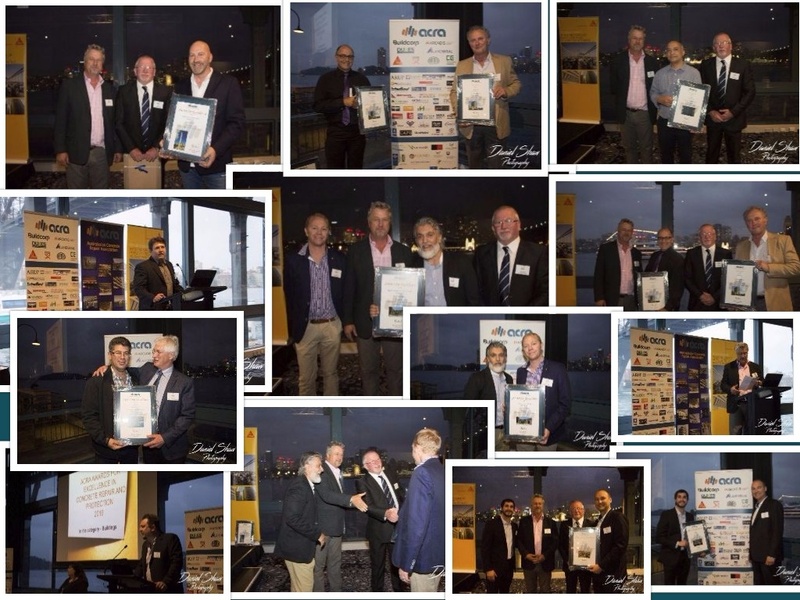 Meet the winners of the 2016 ACRA Awards for Excellence. 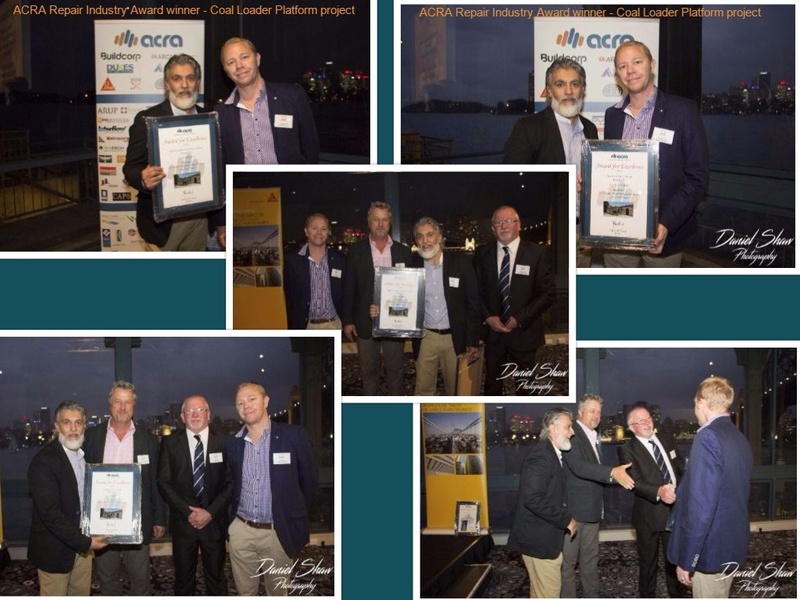 The 2016 ACRA Awards night showcased all the entrants in the ACRA Awards for Excellence. In the category of Buildings - Winner SRG Limited for Punt Hill Apartments. Preservation Technologies and BAAM Consulting also won a Merit award in this category for their project Tarquin, 10 Hilltop Cr Fairlight. In the category of Industry/Mining/Water the winner is Absafe for the their project Hazelwood Unit 5 Chimney Stack Repair. In the category of Investigation & Design winner is ACOR Consultants for the project Coal Loader Platform Adaptive Re-use Greenroof Project. Merit award for this category went to Preservation Technologies and BAAM Consulting for their project Tarquin 10 Hilltop Cr, Fairlight. In the category of Bridges the winner was Marine & Civil Maintenance for the project of The Entrance Bridge NSW and a Merit award went to RMS for the Durability Remediation of Watkins Bridge project. In the category of Strenthening the winner was SRG Limited for the project of Widening of Princes Highway East Bridge over Barwon River at Winchelsea. ACOR Consultants for Coal Loader Platform Adaptive Re-use Greenroof project.